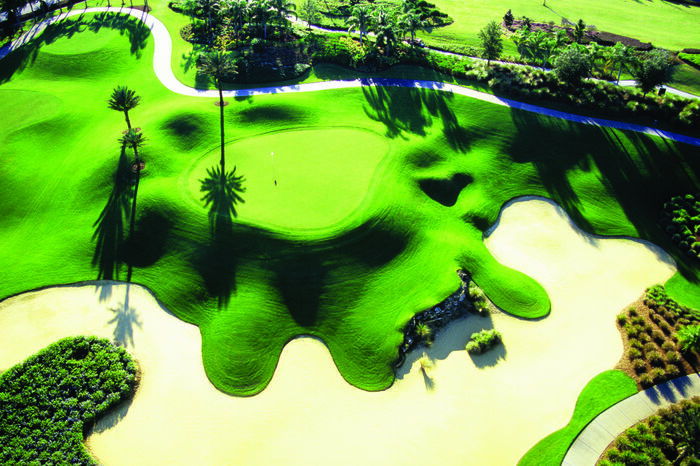 Across Central Florida – The newly formed Grand Golf Resorts of Florida, a Salamander Collection, will host two Legends Tour golf tournaments this fall: The Handa Cup at Reunion Resort in Orlando from November 2-4, and the Legends Tour Open Championship at Innisbrook Resort in Tampa Bay from November 9-11. The Handa Cup is a 36-hole team tournament featuring USA Legends versus World Legends. Showcasing 12 players and two captains per team, it is the first year this annual international team competition will be played on Reunion Resort’s Palmer Course, an Arnold Palmer Signature Design. Team USA, the defending champion for six consecutive years under the direction of LPGA and World Golf Hall of Famer Kathy Whitworth, will be newly led in 2012 by JoAnn Carner, also a Hall of Fame member and former Solheim Cup Captain. The World Team will be captained for the second year in a row by Sweden’s Pia Nilsson, well-known guru of golf who counts LPGA Tour all-star Annika Sorenstam among her charges. Just one week later, the ISPS Legends Tour Open Championship returns to Innisbrook Resort for the fourth consecutive year. This 36-hole stroke play event is held on the resort’s challenging Island Course, designed by Larry Packard. The tournament, won last year by two-time LPGA Tour Champion Michele Redman, will feature 40 Legends Tour professionals competing for the only major championship on the Legends Tour. The final round falls on Veterans Day, and the tournament will honor members of the military with free admission and a special hospitality area on the ninth green. There will also be a paratrooper jump on Saturday morning and uniformed military personnel will walk with each pairing as standard bearers on Sunday. Tickets for both events are on sale now at thelegendstour.com/tickets and can also be purchased at the tournament gate. Additionally, advance Legends Tour Open Championship tickets for Innisbrook are available to AAA members at a discount at any Florida branch. All ticket proceeds for the Legends Tour Open Championship benefit Girl Scouts of West Central Florida. Children under 17 and all military personnel with ID are admitted free to both events, which also feature complimentary parking and shuttles. The Legends Tour is the Official Legends Tour of the LPGA. The tour began in 2000 by LPGA professionals to showcase the talents of some of the greatest women’s golfers of all time. Grand Golf Resorts of Florida was formed in 2011 by Salamander Hotels & Resorts, which was founded by Sheila C. Johnson. In addition to Innisbrook and Reunion resorts, the Grand Golf Resorts collection also features Hammock Beach Resort in Palm Coast and includes nine golf courses which play from the Gulf to the Atlantic. For more information, visit www.thelegendstour.com or follow The Legends Tour on Facebook. The Legends Tour is the Official Legends Tour of the LPGA. The tour began in 2000 by LPGA professionals to showcase the talents of some of the greatest women’s golfers of all time. The Legends Tour has more than 100 members, including 11 LPGA and World Golf Hall of Fame members. Legends Tour players have over 650 combined LPGA Tour victories, including 65 major championships. In its 11 seasons, The Legends Tour has awarded more than $9 million in prize money and helped raise more than $11 million for charity. The Legends Tour has hosted events in Arizona, Connecticut, Florida, Hawaii, Indiana, Iowa, Maine, Massachusetts, Michigan, New Hampshire, New Jersey, Wisconsin, Japan and Australia. For additional information on The Legends Tour, log on to www.thelegendstour.com .